More than 600 species and varieties of Central Coast Wildflowers. Hrs. 10 M – 5 PM. Call 831-648-5718 or pgmuseum.org. at the award-winning Hilton Bialek Habitat. Sock Hop, Pageant and fireworks. www,feast-of-lanterns.org. an light refreshments served. Hours 6-9 PM. Call 831-373=3304. 6 PM and winds through downtown. 831-373-3304. Questioning life is as American as the fabled apple pie we’re supposed to love as native food for thought. As a columnist, my response was: While it’s true no federal law targets homeless women, how about substituting the word “county” for “country” to give your question a more local slant? So, where is this metaphor-turned-simile leading? Like a glacier cutting through what? I find today’s “Housing First” movement a simile. That means it’s like Chaco Canyon and other ancient cliff-dwellers’ homesites throughout the American Southwest; those cavelike apartments housed America’s first high-rise, tiny-home occupants. The cliff dwellers climbed sheer rock walls on handmade ladders like we now use stairs and elevators for ascent and descent, then rolled up the rope rungs and stored them indoors for security like we lock our doors. Well, Seaside’s city manager Craig Malin recently introduced the possibility of a way to lessen the local homeless crisis: Build a multi-level low-income apartment structure near Seaside High School. Each space would equal a tiny home in size, just big enough to live in at a price small enough to comfortably afford. The proposal was not submitted as an applications for HEAP funding due to time restrictions for preparation of documents. Metaphorically speaking, however, there’s hope that sun will rise again so Seaside becomes the modern-day dune-dwelling location for today’s equivalent of yesteryear’s cliff dwellers! The great thing is no glaciers whatsoever are required! The only thing to cut through is bureaucratic red tape! Homeless women of the Monterey Peninsula have been asking for a tiny-homes village or development for the five years I’ve written this column. One of the most likely candidates for making it happen is the Gathering for Women, whose fifth birthday was Monday, April 1 but celebrated on Thursday, April l4, at the Second Annual Gathering for Women Community Breakfast sponsored by Community Hospital of the Monterey Peninsula/Montage Health in the Ferrantes Bayview Ballroom at the Monterey Marriott Hotel. Highlights of the breakfast will be featured in next week’s column. For now, a brief trip down memory lane highlights the grassroots women who called their group “The Gathering Place” when I met them April 1, 2014 at San Carlos Cathedral, Monterey. TGP was kicked off by a $12,000 start-up grant from Fund for Homeless Women. Volunteers served lasagna, salad, sourdough bread and beverages to 18 guests and one journalist—me—at their first luncheon. She was right, and I realized she thought I was homeless and too proud to accept handouts! By the time The Gathering Place celebrated its 1stanniversary on April 7, 2015, it had outgrown the San Carlos parish hall but still functioned under the church’s 501(c)(3) although TGP was meeting weekly on Tuesdays at the Moose Lodge in Del Rey Oaks. A beautiful birthday cake festooned with pink roses was served (see the photo) and program coordinator Carol Greenwald announced that a recent organizational grant from the Fund for Homeless Women would enable The Gathering Place to continue in its development as a secular non-profit separate from San Carlos Cathedral. A week later, announcement was made that as of April. 20, 2015, Ann Evanilla Wasson of Carmel, would become executive director of The Gathering Place and Loaves and Fishes Food Pantry at San Carlos Cathedral (there have been several executive directors since them). By then, guests averaged 55 per week and were served by around 120 committed volunteers. During TGP’s first year, around 400 individual guests were served, ¼ of whom had pets. The Gathering Place incorporated as a public charity 501(c)(3) corporation on May 28, 2015 under the new name Gathering for Women – Monterey. Run by a Board of Directors, instead of the five founders, administrative duties were performed by Carol Greenwald, President & CEO and Directors Flo Miller and Kelly Kerr. Gathering for Women (formerly The Gathering Place) celebrated its second anniversary on Tuesday, April 5, 2016 at its new meeting place, the Unitarian Universalist Church of the Monterey Peninsula. Half the women assessed were over age 50, one quarter were past 60, and over 80 percent had incomes of less than $900 per month. Does that make it a metaphor, a wornout cliché or proof that history can and does repeat itself? Feel free to email me with your answers and they might appear in future columns. On January 3 the SPCA for Monterey County Wildlife Rescue and Rehabilitation Center rescued a Turkey Vulture in Elkhorn Slough. 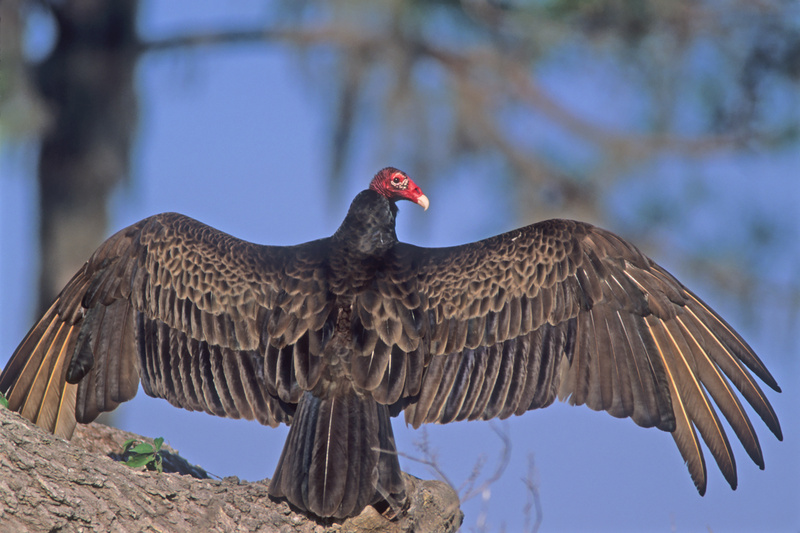 The Turkey Vulture was suffering from severe lead poisoning. When he was rescued, the Turkey Vulture was unresponsive with a low body temperature and signs of crop stasis. SPCA wildlife rescuers provided supportive care with fluids, nutrition, and heat to stabilize the Turkey Vulture. Once the lead toxicity results came back positive, skilled SPCA wildlife rescue staff began treatment to help him. After three weeks of intensive treatment, the Turkey Vulture made a full recovery and began pre-release conditioning in one of our large outdoor flight aviaries. After one month of treatment, the Turkey Vulture is finally healthy and ready to be released back into the wild! We invite all media to witness him fly free again. We will release him tomorrow, February 6, at 11:00 am in Elkhorn Slough. If you can join us, please contact Beth at 831-760-0426 or bbrookhouser@spcamc.org for the location details. Turkey Vultures are common scavengers in our area. They are large birds with bald, red heads and wingspans of 63–72 inches. They are often seen soaring overhead in groups, feeding off carrion, or sitting in exposed trees in the morning with their wings spread wide to warm themselves. Lead poisoning is seen in local rescued wildlife when an animal consumes a lead bullet while feeding off the carcass of an animal that was shot. It can also be seen when an animal is shot but survives. The SPCA Wildlife Center is available for emergency wildlife rescues 24 hours a day. To support our work, please visit www.SPCAmc.org/donate. To report injured, sick, or orphaned wildlife in Monterey County, please call 831-264-5427. The SPCA Wildlife Rescue and Rehabilitation Center is the only full service wildlife rehabilitation center serving Monterey County. We operate under permits from the California Department of Fish and Wildlife and the United States Fish and Wildlife Service. Your support is extremely important to us, as we do not receive funding from any federal, state or local government agency. 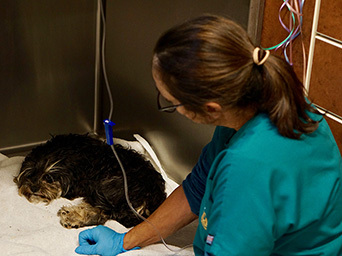 Each year, The SPCA Wildlife Center admits over 2,000 animals for treatment and care. The SPCA for Monterey County is your nonprofit, independent, donor-supported humane society that has been serving the animals and people of Monterey County since 1905. The SPCA is not a chapter of any other agency and does not have a parent organization. They shelter homeless, neglected and abused pets and livestock, and provide humane education and countless other services to the community. They are the local agency you call to investigate animal cruelty, rescue and rehabilitate injured wildlife, and aid domestic animals in distress. Caltrans has received confirmation from National Weather Service (NWS) data that a significant storm will continue in the areas of Mud Creek (PM 8.9) and Paul’s Slide (PM 21.6) on State Route 1 in the Big Sur area over the next 24 hours. The previously announced hwy closure will continue today between Ragged Point (SLO PM 72.87) to Gorda (MON PM 10.12). The Highway 1 closure, for traveler safety, will include the areas of Mud Creek and Paul’s Slide and will remain closed today, Monday, Feb. 4 until further notice. SEE ATTACHED CLOSURE MAP. Storm activity is currently forecast through Tue., Feb. 5. Monterey County 5th District Wildfire Preparation Community Meeting Following the 2016 Soberanes Fire and devastating fire seasons in northern California over the last two years, Monterey County residents are concerned about how to be prepared for the next wildfire. 5th District Supervisor Mary Adams will host a community meeting for residents to find out what key agencies are doing and what the community can do to prepared for the next wildfire. District 5 includes communities along the Highway 68 corridor, Jacks Peak, Del Monte Forest/Pebble Beach, Carmel Valley, Cachagua, Carmel Highlands, Big Sur Coast and the Monterey Peninsula cities. “After the devastating Camp Fire, my office received many phone calls with questions about emergency preparedness and evacuation in these areas,” says Adams. This community meeting is set for January 31 from 6 p.m. to 8 p.m. at Palo Corona Regional Park. It is an opportunity for residents to come ask questions and learn from our emergency services experts. Key agencies will provide an overview on preparedness planning from the Monterey County Office of Emergency Services, Monterey Regional Fire Protection District, CalFire, Monterey County Sheriff’s Office and the U.S. Forest Service. The SPCA for Monterey Veterinary Clinic is performing our 150,000th spay/neuter surgery today. To celebrate, the owner of the 150,000th pet is being surprised with a free surgery and SPCA gift basket at 1:00 today. Since the SPCA Veterinary Clinic opened in 1976, we have focused on reducing pet overpopulation and making a difference for the pets and people who count on us by providing high-quality, affordable surgeries. Just imagine if each of those 150,000 pets had “just one litter.” That’s over a million lives saved, not even counting the litters their future offspring would have. This is all made possible by the caring support of our community whose donations make our services possible. In addition to our standard low-cost surgeries, we also offer $25 spay and neuter surgeries for pets owned by Salinas residents, which is by far the largest source of unwanted and stray pets in our community. Since April 2017, over 1,200 pets have been altered through this service. The weather ‘bot contacted me this morning and advised that I messed up the rain gauge last week. so here it is as it was sent this morning. Can’t argue with a weather ‘bot. Held second reading and adopted an ordinance that amends Pacific Grove Municipal Code §18.36.040, related to camping or sleeping in trailers or motor vehicles overnight. Received the MST Highlights of December 10, 2018. Received minutes from the Beautification and Natural Resources Commission, Historic Resources Commission, and Library Board. Introduced and held first reading of an ordinance to amend the Pacific Grove Municipal Code (PGMC) to add a Chapter 15.30, Utility Encroachments in Public Rights-of-Way. Received the Annual Financial Audit Report, which included the Auditor’s Opinion on the City’s financial statements, from the City’s independent auditor, Chavan & Associates, LLP; received a financial update based on the Fiscal Year 17/18 financial statements; and received a status on improvements based on the auditor’s recommendations that are being implemented. Approved appointments to City Boards, Committees and Commissions with amendments. The agenda reports and supporting documents for all of these actions are on the City’s website, at http://www.cityofpacificgrove.org/about-city/city-council. Details of the actions taken will also be available, upon completion and adoption of the meeting minutes, which will also be posted on the website. for the flipping pages version. In a unanimous vote Wednesday evening the Pacific Grove City Council adopted an ordinance amending the Municipal Code to transfer authority from the Planning Commission to the City Manager to process applications for cellular communications facilities including cell towers. The ordinance also exempts from the permitting process cellular antennas strung on lines between poles as well as modifications to permitted sites provided the footprint is not materially changed. The City Manager under this ordinance will have exclusive power to grant or deny applications with no public input unless decisions are appealed to the City Council which requires an appellant fee exceeding one thousand dollars. Several members of the public including two members of the Planning Commission, Mark Chakwin and Don Murphy spoke against the ordinance and urged not rushing into the decision before fully understanding the legal, technical, and administrative ramifications. Commissioner Garfield observed that the FCC’s recently reduced time constraints for approval–the shot clock—meant that the Planning Commission may not be able to process applications in time, resulting in them being “deemed approved” per FCC regulations. Mayor Peake noted that there is an increasing body of evidence on the negative health effects of cellular radiation, but the FCC’s regulations forbid denying a cell tower permit based on health concerns. Assistant City Attorney Heidi Quinn reminded the council that this ordinance is strictly targeted at areas in the public right of way and is intended as a temporary ordinance in advance of revisions to the zoning code. Winter holidays are a time for families and friends to get together, but that also means a greater risk for fire. Following a few simple tips from Monterey Fire will ensure a happy and fire-safe holiday season. Some lights are only for indoor or outdoor use, but not both; use them appropriately. Replace any string of lights with worn or damaged cords or loose bulb connections. Read manufacturer’s instructions for number of light strands to connect. Monterey Fire Department wishes you and your family a safe and happy holiday season. For additional fire safety tips and information please visit www.nfpa.org. Approved a resolution declaring the results of the November 6, 2018 Municipal Election. City Clerk administered oaths to Mayor-Elect Bill Peake and Councilmembers-Elect Joe Amelio, Jenny McAdams, and Amy Tomlinson (see photos below). City Manager bestowed Certificates of Appreciation to outgoing Councilmembers Ken Cuneo and Rudy Fischer, and outgoing Mayor Bill Kampe (see photos below). Received words of gratitude from Councilmember Rudy Fischer, and outgoing Mayor Bill Kampe. Received words of praise from the public. Received Councilmember Fischer’s Report of Attendance at Regional Meetings – October thru December 2018. Received Community Human Services Minutes of their Regular Meeting of October 18, 2018. Approved the proposed schedule of City Council Meetings for 2019 and 2020. Introduced and held first reading of an ordinance to amend the salary classification schedule to modify salary ranges for Police Officer and Police Sergeant; and direct a summary of the ordinance be published as approved by the City Attorney. Selected Council Member Robert Huitt to serve for one year as Mayor Pro Tempore in accordance with the Charter of the City of Pacific Grove from open nominations by the members of the City Council. Approved a resolution appointing the Mayor as Director and Councilmember Smith as Alternate Director to the Monterey Peninsula Regional Water Authority, terms starting December 5, 2018 and ending December 2, 2020. Approved the appointment of council members to regional boards and liaisons to City committees, boards and commissions. Received a Cigarette Filter Pollution and Coastal Signage Update and awarded Certificates of Appreciation to City volunteers Lila Seldon, Susan Pierszalowski and Lynn Mason for their assistance and hard work. Xerces Society are still completing the count for this year, but preliminary results from the Western Monarch Thanksgiving Count (WMTC) show disturbingly low numbers of monarch butterflies overwintering in California. Preliminary count results from 97 sites, which includes many of the most important overwintering groves, show only 20,456 monarchs. In 2017, these sites accounted for 77% of the total monarch overwintering population, hosting approximately 148,000 monarchs. The 2018 numbers represents an 86% decline from 2017—which was already a low population year. We were not expecting this to be a great year because we knew it had been a rough season in the breeding and migratory range, but it’s looking worse than anyone had expected. If the rest of the Thanksgiving Count data show the same trend as these sites, we anticipate seeing less than 30,000 butterflies overwintering in California this winter. In comparison, last year there were more than 192,000 butterflies counted; in 1997, it was estimated that more than 1 million overwintered; and research suggest that there were at least 4.5 million monarchs overwintering in California in the 1980s. If you want to read more about the count and what may be causing this abrupt fall in numbers, please see an article on our blog, (https://xerces.org/2018/11/29/critically-low-monarch-population-in-california/). Monterey County Registrar of Voters, Claudio Valenzuela has certified the results for the November 6, 2018 Statewide General Election. The official results at www.MontereyCountyElections.us show a voter turnout of 62.8%. “We are very appreciative to the 800 poll workers, temporary employees and the owners of the facilities that served as polling places for providing an invaluable service to our community”, added Registrar Valenzuela. The Monterey County Elections team will have only a short time to catch their breath, as preparation for the March of 2020 Primary Presidential Election will start in August of 2019. For more information visit www.MontereyCountyElections.us or call (831) 796-1499. The SPCA for Monterey County is offering a $1,000 reward for information leading to the arrest and conviction of the person or persons who abandoned a dog in Monterey today. If you have any information about this case or can identify the dog, please contact the SPCA at 831-373-2631. All calls are confidential. To donate to help abused and neglected animals, please call the SPCA at 831-264-5421 or donate online at www.SPCAmc.org. · JAZZ A Monterey–Sand City via Hilby: Service between Monterey Transit Plaza and Sand City Station only. No service to MPC. 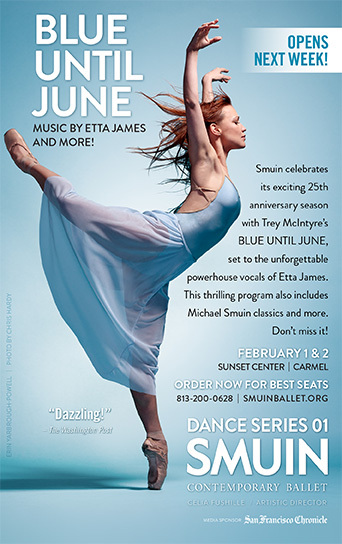 · JAZZ B Monterey–Sand City via Broadway: Service between Monterey Transit Plaza and Sand City Station only. · Line 1 Monterey: Service from Lighthouse and Fountain to Monterey Transit Plaza only. No service to Asilomar. · Line 2 Pacific Grove: Service from Lighthouse and Fountain to Monterey Transit Plaza only. · Line 19 Del Monte Center–CSUMB via East Campus: Will operate from 9am to 6pm on Thanksgiving Day. · Line 24 Grapevine Express: Service between Monterey and Carmel Rancho only. Lines 55 and 86 San Jose Express will operate a Sunday schedule Thanksgiving Day. All other bus lines will not be in service. On Friday, November 23, MST will operate a Saturday schedule on JAZZ A, JAZZ B, 1, 2, 3, 4, 7, 11, 16, 18, 20, 21, 22, 23, 24, 28, 29, 41, 42, 44, 45, 49, 55, 61, 67, 69, 78, 82, 84, 85, 86, 91, 92, 94, 95, and MST On Call Marina. Lines 19 and 25, will operate a weekday schedule. Regular MST bus service will resume on all lines Saturday, November 24.